Relax and recharge with family and friends when you break out this Backpack Racket Set. 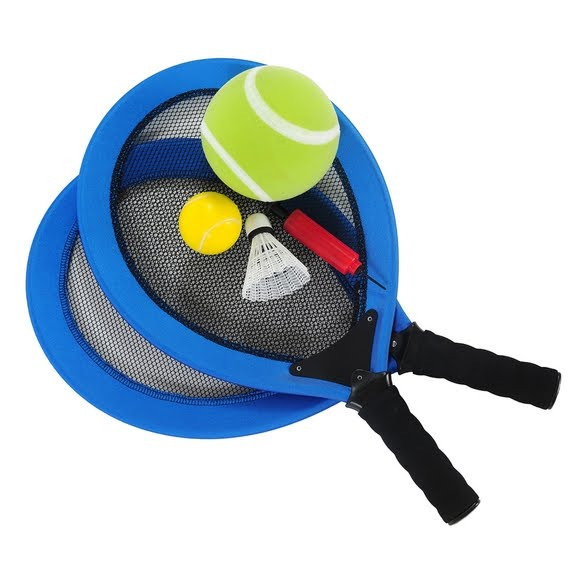 A great way for racket-sports enthusiasts to play while camping or traveling, this set always adds a little casual fun to any excursion. The set offers several variations of play by including one bird, one foam ball and one inflatable, 5" tennis ball. Measurements 22" x 12" x 2.25"